IWCE 2014. The latest communications technology. All in one place. The Latest Communications Technology. All in One Place. IWCE 2014 is the authoritative annual event for communications technology in the working world. Join Streakwave Wireless at the International Wireless Communications Exposition on March 26-27, 2013 at the Las Vegas Convention Center in Las Vegas, NV. Over 7,500 technology buyers from a diverse group of industry professionals from government, public safety, transportation, utilities and other enterprises gather together at IWCE to see the latest in effective and efficient communications systems. IWCE provides the foundation for the technology, operations, engineering and governance for your communications technology networks, systems and services. 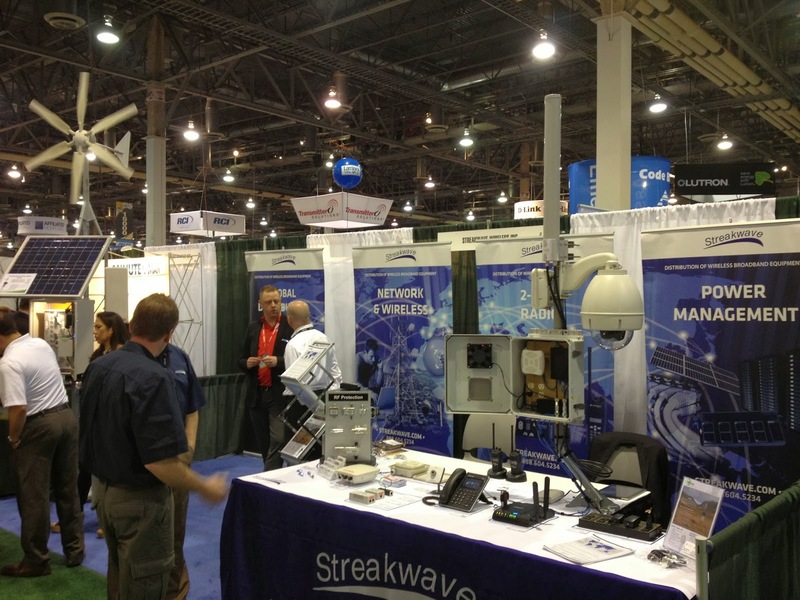 Streakwave Wireless has been a regular exhibitor at IWCE and returns again in 2014. Join Streakwave at booth number 4096. IWCE offers five days of workshops, training, short courses and networking opportunities that provide unparalleled opportunities for you to meet, learn and connect. Join your colleagues from government, public safety, utilities and enterprise to learn from each other - from other cities, other agencies, other enterprises and the experts in wireless communications technology, in addition to seeing the latest solutions on the exhibit floor. IWCE provides the foundation for the technology, operations, engineering and governance for your communications technology networks, systems and services. Animal Farm 8 - February 4th and 5th, 2014. Register NOW! The Animal Farm (Season 8) trade conference is focused on service providers, WISPs and suppliers from around the world who in large part provide high-grade, high-speed broadband services and equipment to areas that are mostly underserved (or poorly served) by incumbent wireline service providers (i.e. cable and telco). Animal Farm is held once annually in Salt Lake City, UT and is a place where you’ll find technical training, opportunities for industry networking and a trade show. Users of various broadband equipment from varied backgrounds meet and discuss topics of common interest. These events are typically user driven, not vendor driven. The main focus is on what the users need, not on what someone wants to sell. Streakwave Wireless Inc., a global distributor of wireless broadband equipment and related products (http://www.streakwave.com) is a Gold Sponsor of this event. The EDUCAUSE Annual Conference is the premier gathering for higher education IT professionals. It provides content and exploration of today’s toughest technology issues facing campuses around the world, and convenes some of the brightest minds in the community. When colleagues from around the world converge with some of the most innovative corporate solution providers, you have an event that creates invaluable networking opportunities and professional development. With up to a 40% longer battery life, a wider area of coverage across long distances and crystal clear digital voice, Motorola Solution's latest MOTOTRBO CP200D, CM200D and CM300D radios provide an affordable and flexible critical communications solution. Fully compatible with older batteries and accessories from their analog counterparts the CP200, CP200XLS, CM200 and CM300, the radios provide flexibility and ease-of-use to those with previously existing communications infrastructures. All three products are available in analog-only models as well, making them perfect for anyone who is waiting to transition over to digital voice communications. With a simple software upgrade, users can rest assured that their equipment will always be ready for deployment no matter the system.